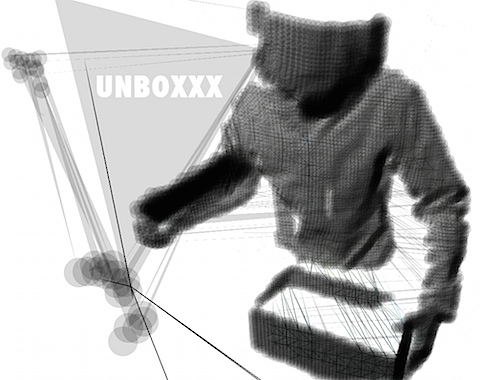 Our second installment of “unboxxx” features two prominent artists exploring the possibilities of music, new technologies… and yes, our “body” and “brain”. “neurowear” has been developing gadgets and devices to enhance our experience with brain and biometric sensors. Their “necomimi”, a brainwave set of cat ears, made a huge sensation on and off the net. This time, neurowear, teamed up with Qosmo, developed “Brainwave Disco”, where DJ must maintain audiences’ “attention”, measured with brainwave sensors, in order to keep DJing. If the average attention value remains less than a given threshold, DJ gets kicked out. Daito Manabe is one of the most well-known media artist in Japan. He is particularly famous with his radical experiment with his body and face. His “electric stimulus to face” series has been played on YouTube nearly 2 million times. 生体信号といえばこの人! 顔の筋肉に電気信号を与えることで表情をコントロールするelectric stimulus to faceシリーズは、YouTube上で計200万回以上試聴されています. More DJs… to be announced.